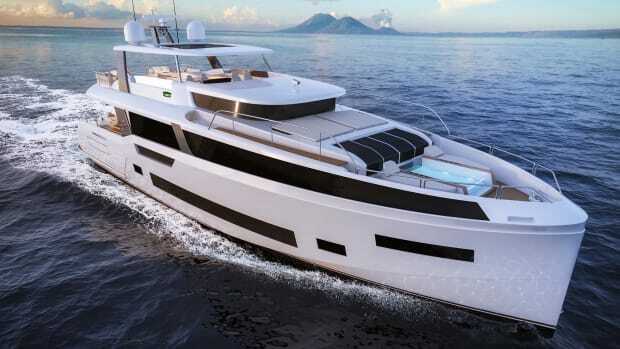 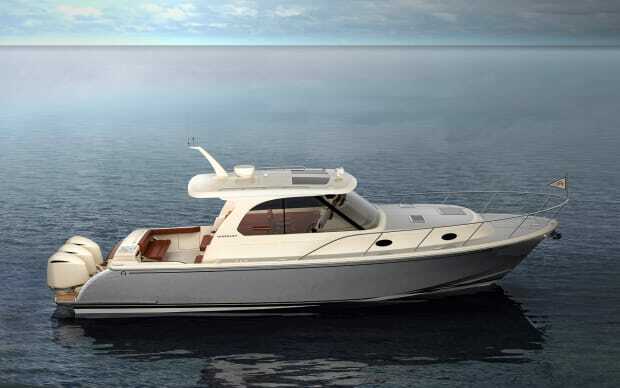 The Maine-based builder introduces plans for a pair of outboard-powered 42-footers at Palm Beach. 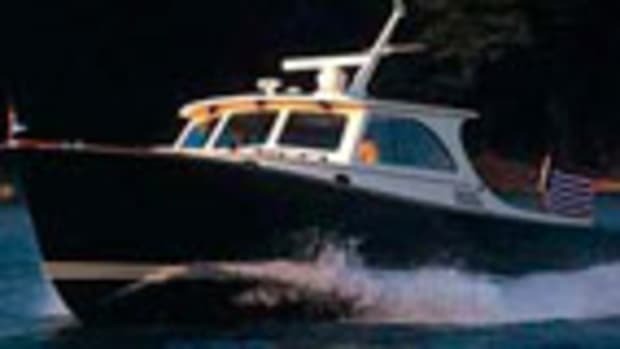 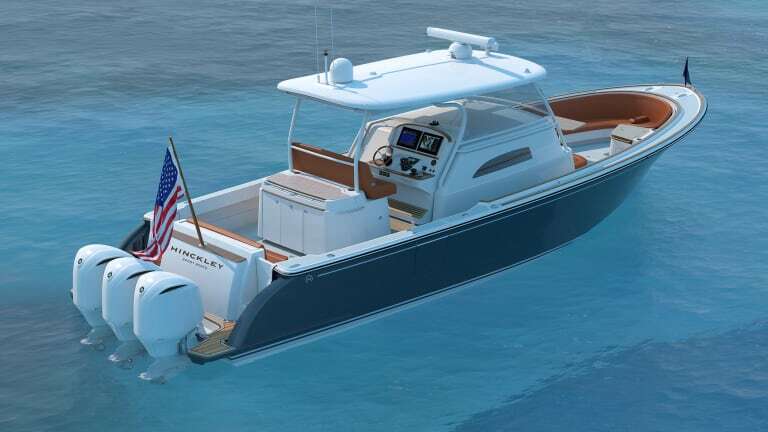 Hinckley announced it is stepping into the outboard arena with a 42-foot center console and sportboat. 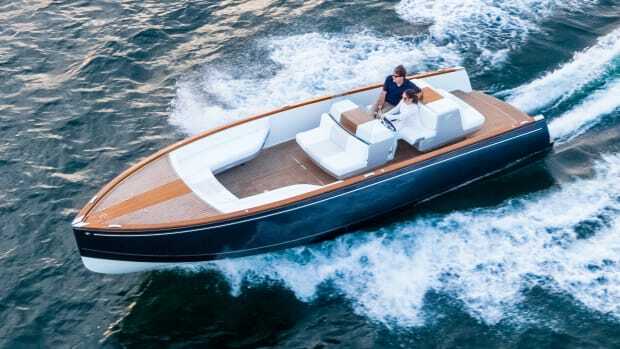 Announced at an exclusive event at the Palm Beach Boat Show, the move is a paradigm shift for the Down East builder perhaps best known for jet-powered picnic boats and runabouts. 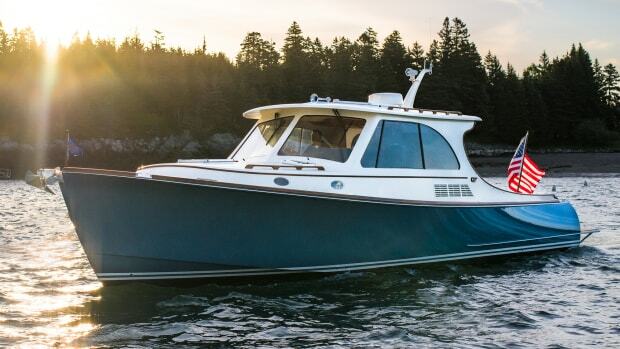 Both boats are currently under construction, with the center console—which Hinckley calls the Sport Boat Center Cabin—set to debut in July at the builder’s Nantucket rendezvous and the weekender debuting in February 2019. 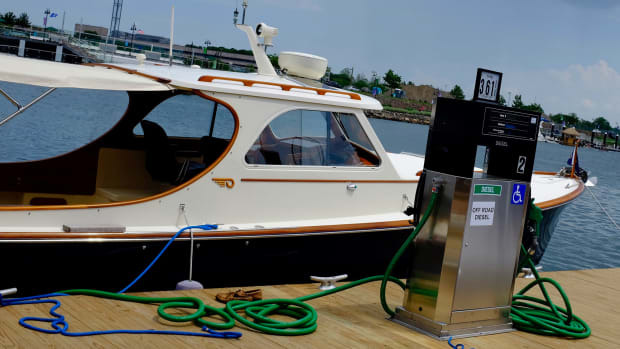 Hinckley has been no stranger to radical departures as of late; six months ago, the company unveiled the fully electric-powered Dasher. 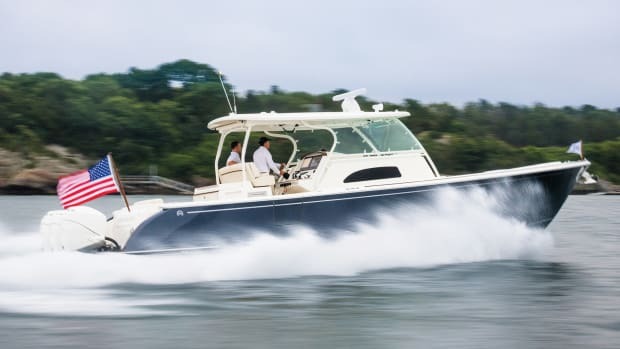 Standard power for the weekender and center console will be triple 300-horsepower Verados that should lend the vessels a top end of 45 and 47 knots respectively. 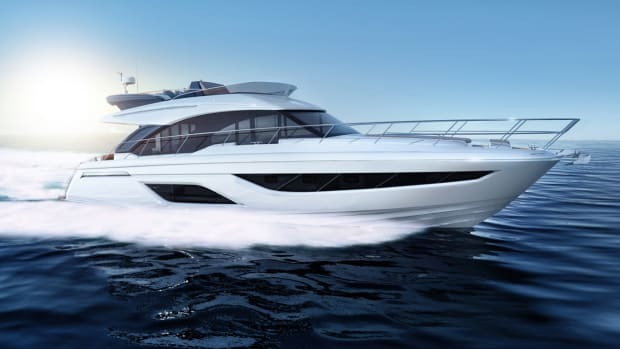 Optional (triple) 350-horsepower Verados will lend an additional 3 knots to WOT, and optional (dual) 667-horsepower outboards from Seven Marine will lend an additional 10 knots. 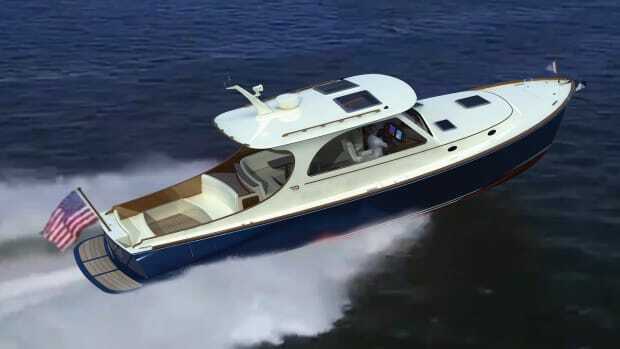 The base price for the Center Cabin will be $735,000 and the Sport Boat will be $895,000, according to Hinckley. 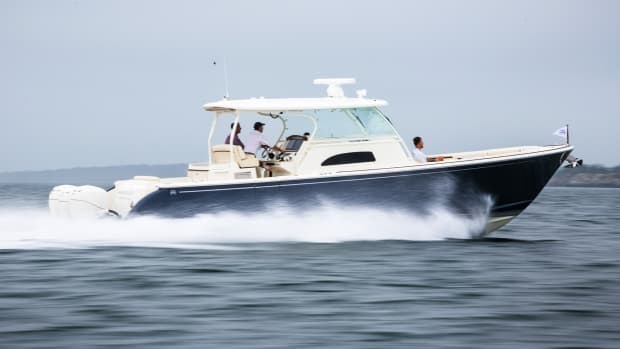 When asked how these new models will affect Hunt’s line of center consoles (Hinckley bought Hunt in 2013) Saladino explained, “Hunt owners are focused on the 26- to 32-foot range. 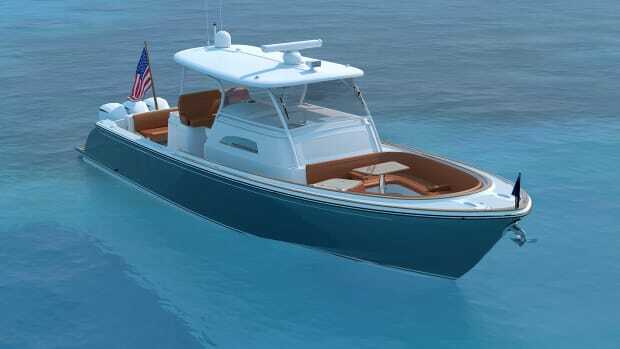 They’re made with e-glass and that tradition will continue.” The Hunt 40 center console the builder announced in 2017 will longer be produced.